Radiocentre released a survey last week that suggests 40 percent of UK households will own a smart speaker in 2018 up from 9 percent today. Those are two astonishing figures. First, Amazon Echo was the only smart speaker available on the market during the study period. That means 9% of UK households purchased an Amazon Echo in the first six months after release. If true, Amazon Echo sales in in Q4 2016 and Q1 2017 far exceeded expectations and are going to quadruple over the next year. Did Amazon Echo Sales Top 2.4 Million in Six Months? The UK Office for National Statistics reports that there were just under 27.1 million households in the country in 2016. Nine percent of the total suggests 2.4 million households purchased Amazon Echo devices in the first six months after launch. And, households were listed as owning at least one device. Voicebot analysis of U.S. sales in 2016 suggested 1.18 devices per household. That means there may have been 2.9 million Amazon Echos sold thus far. Should we believe it? Well, the survey included 1,000 responses of what is considered a “nationally representative sample.” Lets assume the margin of error is plus or minus 3%. If it were only 6% of households that would be 1.6 million, but then again 12% could be 3.2 million. The numbers are all large and suggest a much faster adoption rate than for US consumers. Granted, the product launched in the UK was much more mature than at the time of the US introduction. This early lead in UK adoption may be very important. A VoiceLabs survey earlier this year in the US suggested that only 11% of households were likely to adopt more than one smart speaker. If UK holds to this sentiment then 8% of the market was already locked up by Amazon before Google Home even entered the market in April. Now that both Amazon Echo and Google Home are in-market, this rapid growth rate will likely to create an even steeper competitive challenge for Apple and Microsoft which aren’t expected to have products in-market until late this year. Will 11 Million UK Households Have a Smart Speaker Next Year? The 40% estimate for 2018 requires a little more scrutiny. First, 40% of UK households will be about 11 million next year based on the 20-year historical household growth rate. 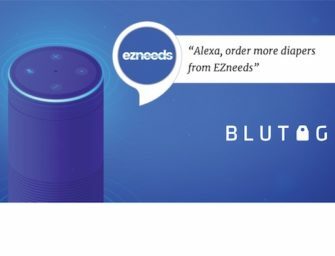 The way RadioCentre gets to that figure is “almost four in ten UK adults intend to purchase an Echo with 87% of these saying they will buy in the next 12 months.” Normally we would expect some of those intenders will not follow through on their purchase plans. For example, a recent Business Insider panel survey discounts purchase intent responses by 50%. That type of follow-through rate would still yield about 25% of UK households which would be a tremendous growth rate. Also, we should consider total audience reach. Mobile phones are typically used by one person. Voice assistants on smart speakers are typically used by everyone in the household. The UK Office for National Statistics reports that the average household includes 2.3 people. That means 11 million households will expose smart speaker content to an audience of 25 million people. The question was asked about Amazon Echo, but there will be more options over the next year. If we assume Amazon will capture 71% market share going forward as eMarketer predicts for the US market, then Amazon could be looking at another 7 million Echos sold in the next 12-18 months in the UK alone. Market adoption is continuing to exceed expectations even if these estimates are higher than expected.